Fighting game fans have been waiting seven years for a new Street Fighter game (at least one without an “Ultra” or “Super” in its name) and after what seemed like ages, Capcom has delivered an all-new entry in the long-running series which was designed from the ground up using Epic Games’ Unreal Engine 4 technology. According to Street Fighter V producer Yoshinori Ono, one reason Capcom chose Unreal Engine 4 for Street Fighter V was that it had all the tools and functions they wanted to use for the game back when they were prototyping. Ono said Capcom had its own proprietary engine in the works even back when they were prototyping Street Fighter V, but the team needed to develop a brand new battle system, as well as new online features. Ono said working with Unreal Engine 4 allowed his team the investment of time necessary to create a fighting game that had a true “newness” to it. Some of that “newness” comes in the form of an enhanced online gaming netcode, which Ono said incorporates an optimized version of the rollback netcode technique used in Street Fighter X Tekken to allow for a smooth online play experience. After all, the entire game has been designed for online play, and gamers are able to download additional fighters on a regular basis to build out their rosters. The game’s new battle system, which is called the V System, consists of three variable mechanics that add depth for each fighter. V-Skills can be used at any time during a match and don’t consume any of the V-Gauge, which both V-Triggers (gauge must be full) and V-Reversals (take up one stock of the gauge) require pulling off unique moves and counters. Beyond the new gameplay fighting dynamics, what fighting game fans will immediately notice is the visual upgrade the new game engine provided. The seventh Street Fighter installment also marks the beginning of a new business model for Capcom, which has a history of releasing multiple disc-based iterations of past installments. Now, when gamers purchase Street Fighter V, they know all future content will be available online. “With Street Fighter V, we’ve decided to avoid releasing multiple iterations via disc and instead to go to a service-based model, whereby players will have the option of obtaining update content either for free through and in-game point system, or by paid download - whichever best suits their play style and lifestyle,” Ono said. The new game is also the first designed for the growing eSports audience, which according to research firm Newzoo includes over 88 million active eSports fans and an additional 117 million casual eSports fans watching events and competitions today. “When it comes to eSports, you’ve got players and you’ve got spectators, and I would say the graphics engine has a much bigger impact on the latter,” Ono said. The Capcom Pro Tour’s various tournaments, including the Capcom Cup, pull in huge audiences. Ono said most of those people watch the action unfold via “jumbo-vision” projections of the game screen onstage, and it’s a very exciting emotional rollercoaster. 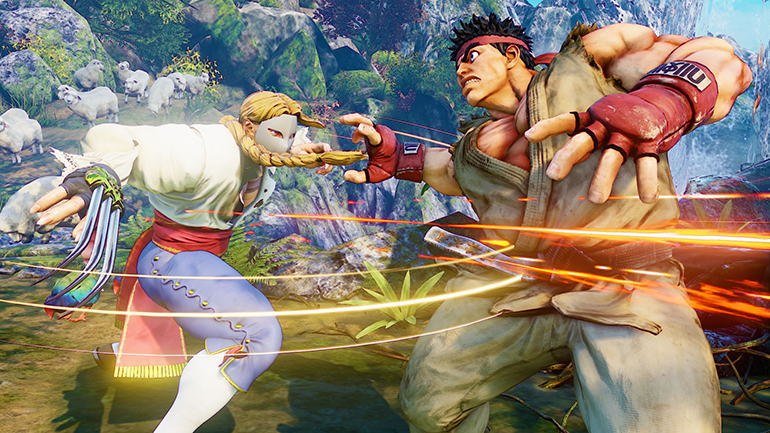 Ultimately, Street Fighter V has been designed to make it easy for anyone to jump right into a match. And while the game supports professional players at the Capcom Cup level, Ono said the goal was to make a game that anyone can enjoy. Published at DZone with permission of Dana Cowley , DZone MVB. See the original article here.